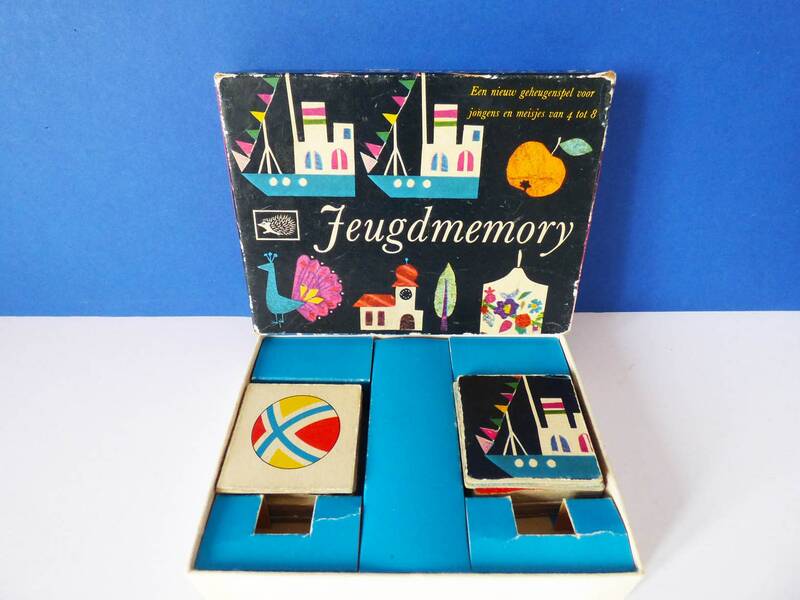 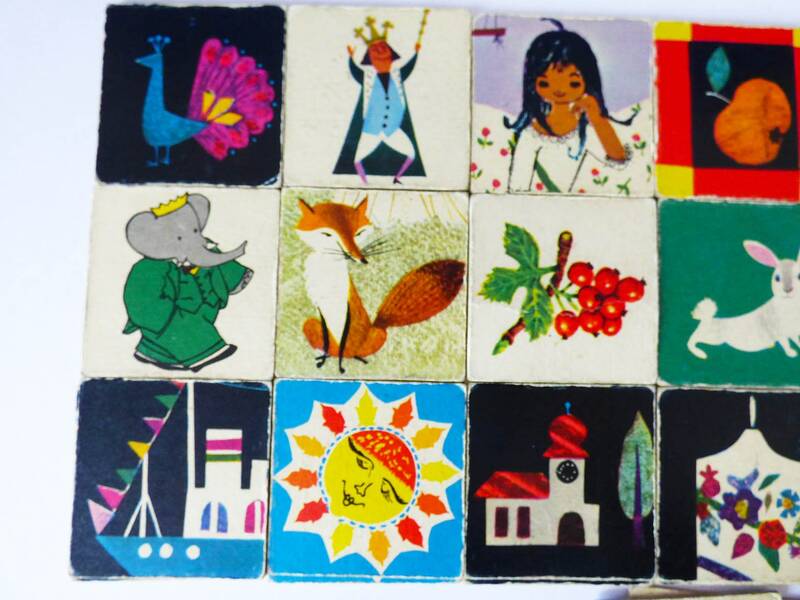 An incredibly rare game of Jeugd memory created by Egel Spelen of Holland, this really is a very old and rare game. 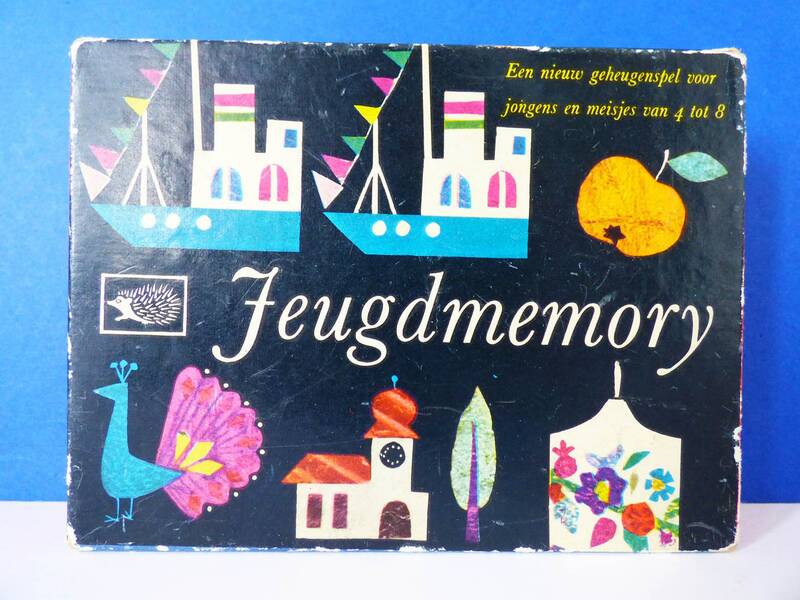 I would say its more of a collector's item than an everyday vintage game. 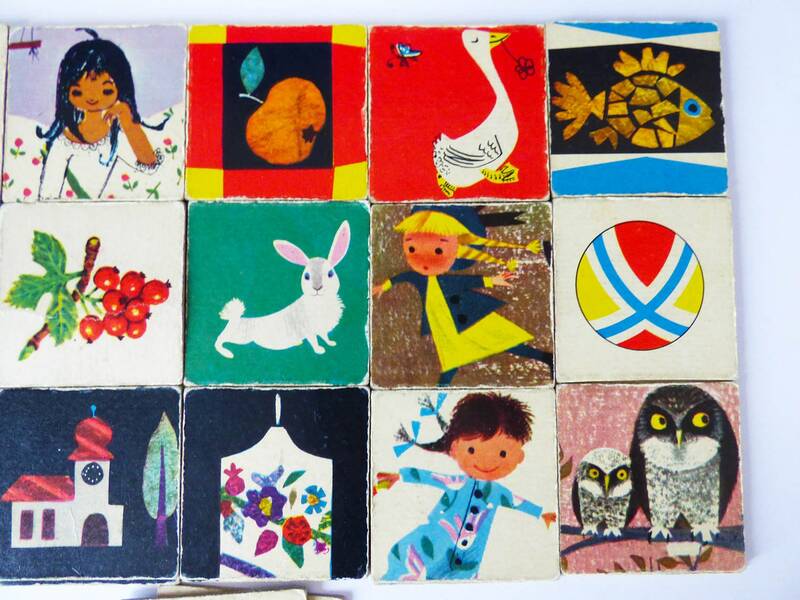 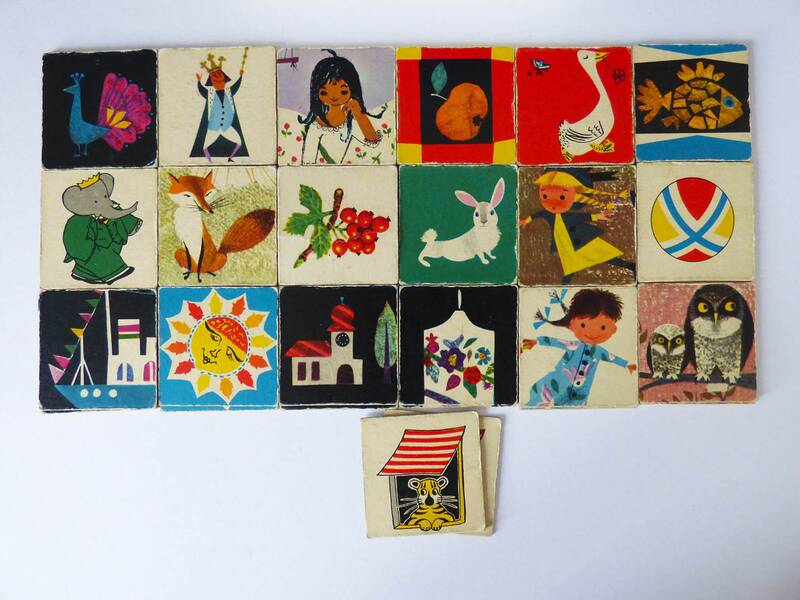 There are just 19 pairs in this game that's 38 cards in total, each card measures 4.8 cm square, the edges of each card are worn and rounded from years of playing. 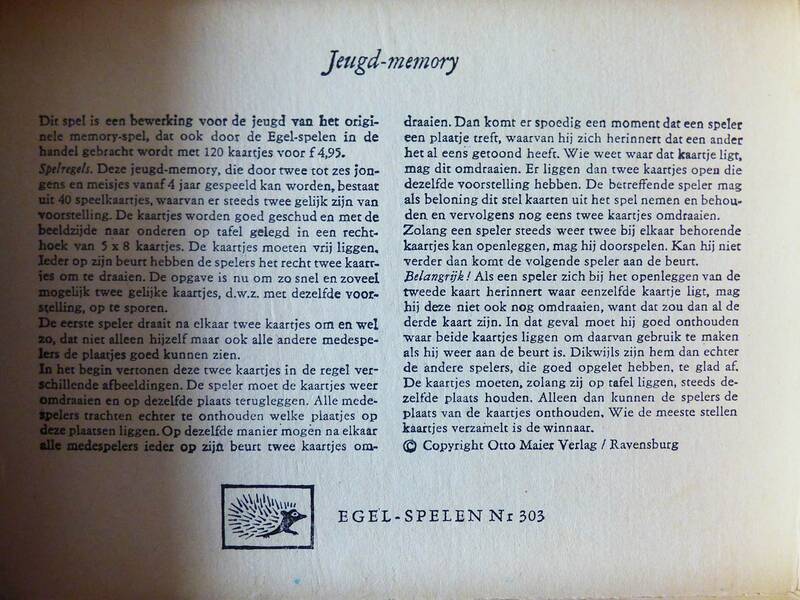 The instructions are printed inside the box in Dutch, from this I'm pretty sure there should be 40 cards in total so there is one pair missing. 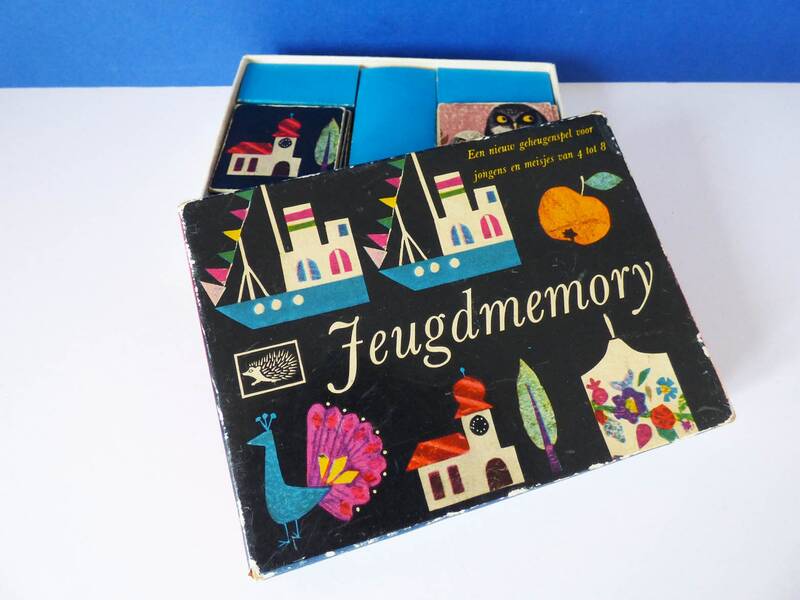 This really is a delightful game, with some beautifully illustrated cards, the cards, box and inlay are all worn, but in the most lovely way, from years of playing rather than neglect. 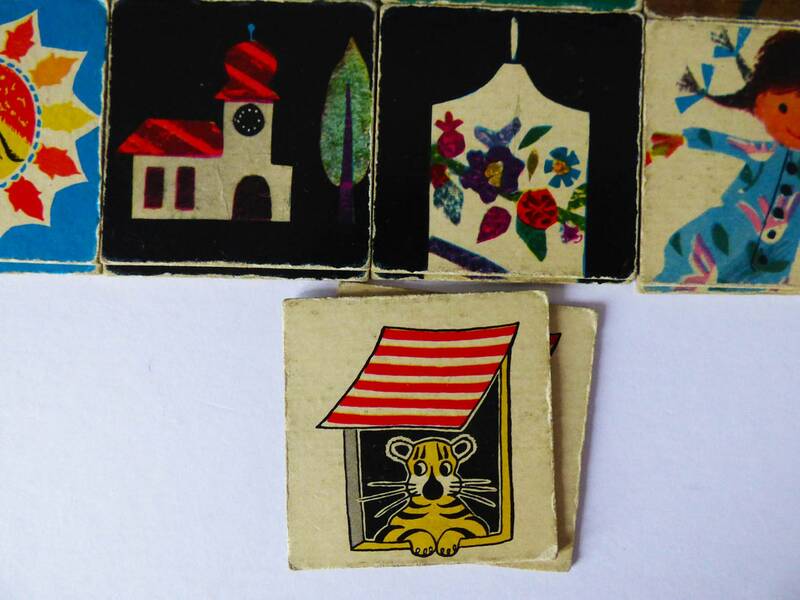 A really special little game. 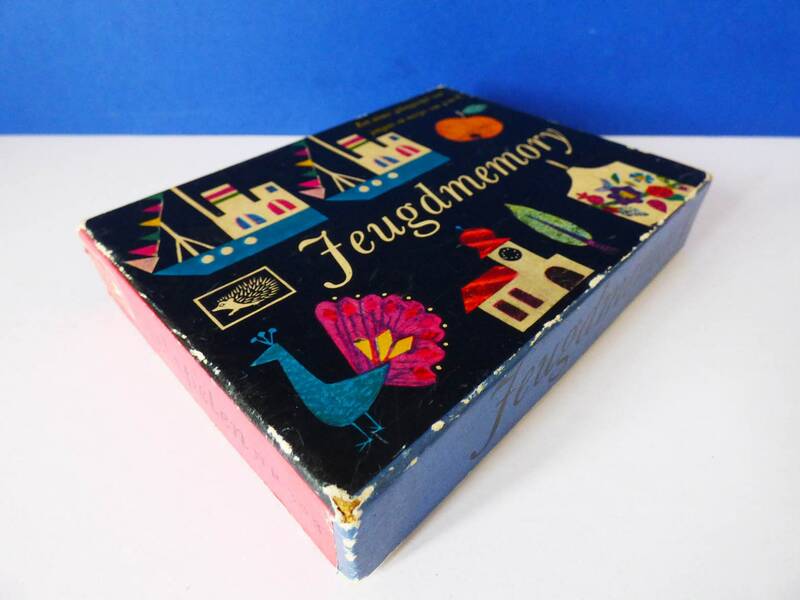 I'm pretty obsessed with Memory games so if your looking for something a little less precious chances are I have other Memory games in the "Books toys and Craft " Section of my shop.